Installs As Fast As 900 Feet per Hour! Rapid Installations for Rapid Transit & Tunnels! 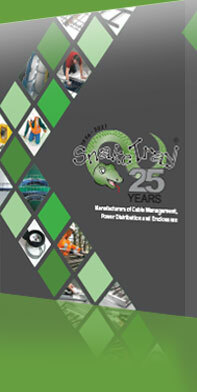 Snake Tray is a leading provider of cable management solutions for transit, rail and tunnel authorities. Our patented cable tray systems are the ideal solution for these applications. Our engineering team works closely with the design engineers to design and manufacture the most cost-effective solution. The innovative design of Snake Tray drastically reduces the installation time which is very critical in transit and tunnel systems. Snake Tray has been successfully installed in many leading transit authorities and tunnels worldwide. Please contact us on 800-308-6788 to discuss your project needs.